Andy Granatelli, the colorful racing entrepreneur known as “Mr. 500,” died Sunday in Santa Barbara, Calif., his son Vince announced. He was 90. The cause of death was listed as congestic heart failure, but Granatelli’s health had been fading for some time. Granatelli and his brothers Vince and Joe got into racing in the 1930s through their auto repair shop. He eventually became a fixture at the Indianapolis 500, where he entered cars for – among others – Joe Leonard, Bobby Unser, Parnelli Jones and Mario Andretti who finally won the race for him in 1969. 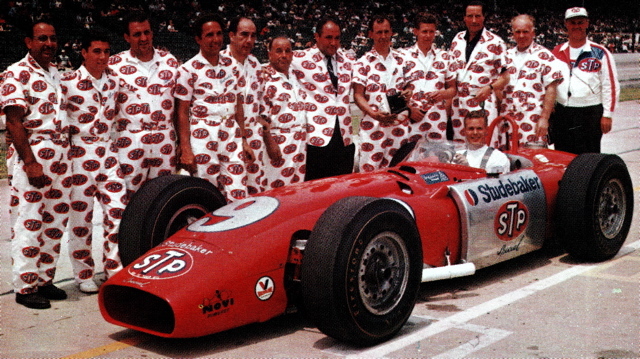 Granatelli, a showman who once had his crewmembers wear pajamas emblazoned with sponsor logos, also raced cars and set a number of speed records. He established a long-running and successful sponsorship of Richard Petty in Nascar racing. In the business world, Granatelli became internationally known as the chief executive of and advertising pitchman for STP; later in life, he started the Tune Up Masters chain of auto repair shops. His autobiography, published in 1970, was entitled, “They Call Me MR 500.” Although he had scaled back his direct racing involvement in recent years, Granatelli always remained close to the sport, a charismatic spokesman for it, and a popular presence. He last visited the Indy 500 in 2012.